Why You Need An Updated And Thorough Business Continuity Plan | Consolidated Technologies, Inc. : Consolidated Technologies, Inc.
Downtime is a very real occurrence for businesses that aren’t prepared. It’s more costly to not prepare. The cost to implement a comprehensive data backup and recovery solution is less expensive than the cost to experience system downtime along with its associated costs. Proactively creating a disaster recovery plan and implementing a total data protection solution means a business can be up and running in the aftermath of any disaster – in seconds. 1. 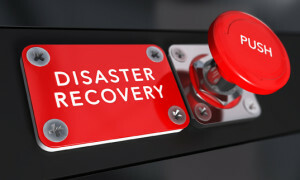 Do you have a disaster recovery solution in place? 2. Do you trust it? 3, When was the last time your backup was tested? 4. How long does it take to recover from your current backup solution? 5. How long can you realistically be down? 1 hour? 1 day? 6. What is the financial cost of downtime to your business? 7. When a disaster occurs, is there an offsite copy? Business Continuity Plans (BCP) are defined as documents that try to ensure the safety of personnel and assets in case of a disaster. 1. Extremely useful for employees to know where to go and what procedures to run in case of a disaster. 2. Provides a documented process for recovery of X computers to Y places by using Z procedures. 3. Useful for compliance reasons. 4. Helpful to IT Professionals looking at a solution to provide security in case of a disaster. 5. Reduce your insurance costs (sometimes). 6. Provides jobs for people documenting things, not joking…documentation is an absolute necessity. However, BCPs don’t really handle the real world spectacularly well with all aspects of what a disaster is, especially if they are not updated. Updates are crucial for a BCP, but how often does someone do the update? Once a month, once a quarter or once a year? Almost as soon as it is written it is out of date. What is a disaster to you anyway? Loss of an email or file, ransomware, power outage? Most of the time BCPs handle the large-scale disasters. If the BCP process works, great, but when there is an issue or an anomaly on the network, or someone added a server that was not part of the BCP then it is moot. What is important is understanding your Business Continuity solution backwards and forwards. The best way to understand your business continuity solution is to take time to test, retest, break, click on a bunch, and google as many things as you can. That offers two benefits, learning is always good in any situation and you will probably be the DR person for your company or organization offering you job security. Granted the DR person for the company tends to get calls at odd hours…but that’s why CTI’s Disaster Recovery solution is 24/7/365, to help during the late night fires. To learn more about a CTI Disaster Recovery solution, please call 1-888-477-4284 or CONTACT US NOW!